From Osaka to Kobe and Kobe to Kyoto. 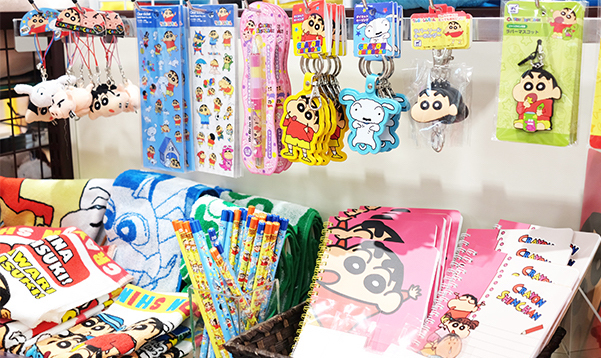 Here are some of the photos that I took while I was in Kobe. 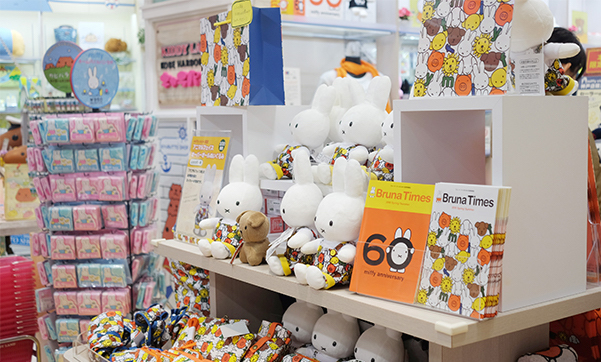 I did not stay long there. I went to see the Kobe harbour during the day, so it was not as interesting as it is during the night because of the night lights. 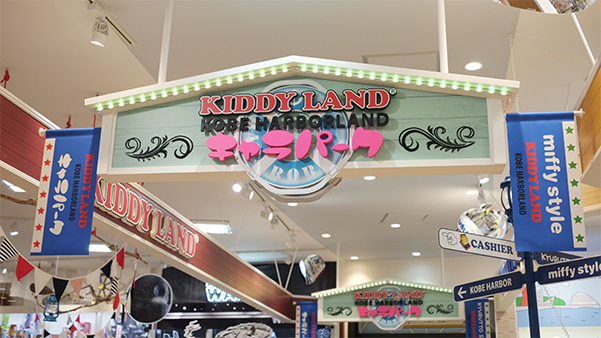 Fortunately, I found 'Kiddy Land' store and it's filled with cute goods. 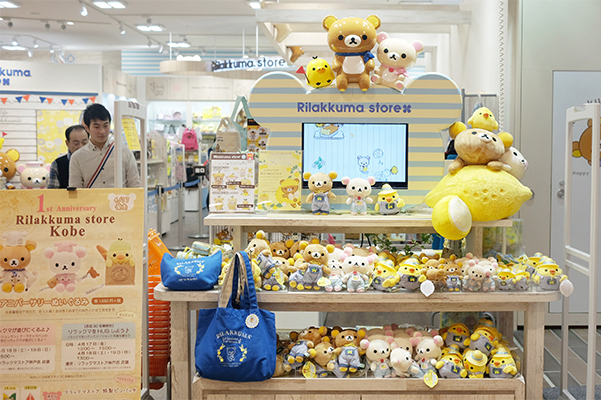 There's even Rilakkuma store there! 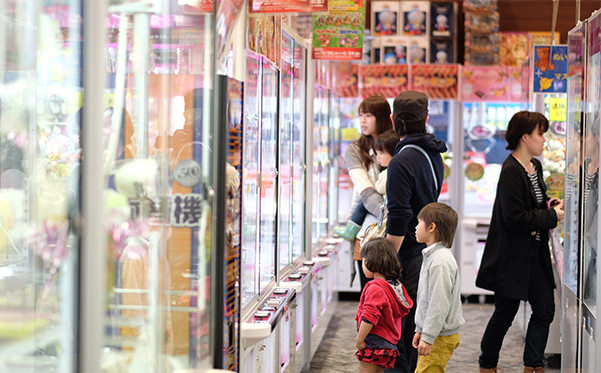 I think Japan is the only country where you can still find many arcades and that are still crowded. Coming to an arcade here feels very nostalgic about my childhood. I was wearing Tutti Frutti Oversized Sweater from Mossman and glasses that I bought in Japan. 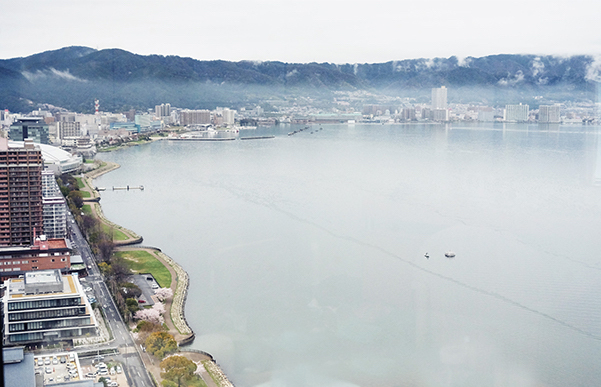 Here is the view from my hotel room in Otsu. Such beautiful scenery of Lake Biwa. Too bad my camera could not capture all the view. 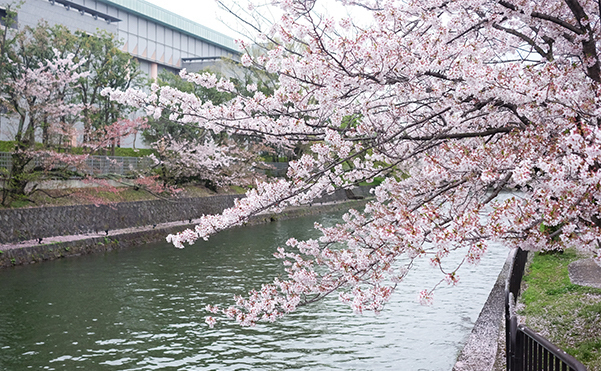 Another Sakura viewing in Kyoto! 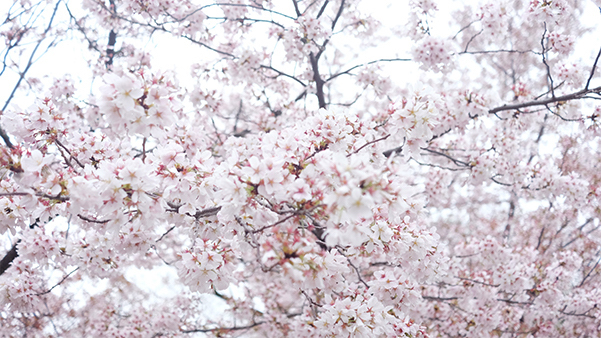 I could never get bored of seeing Sakura everywhere. 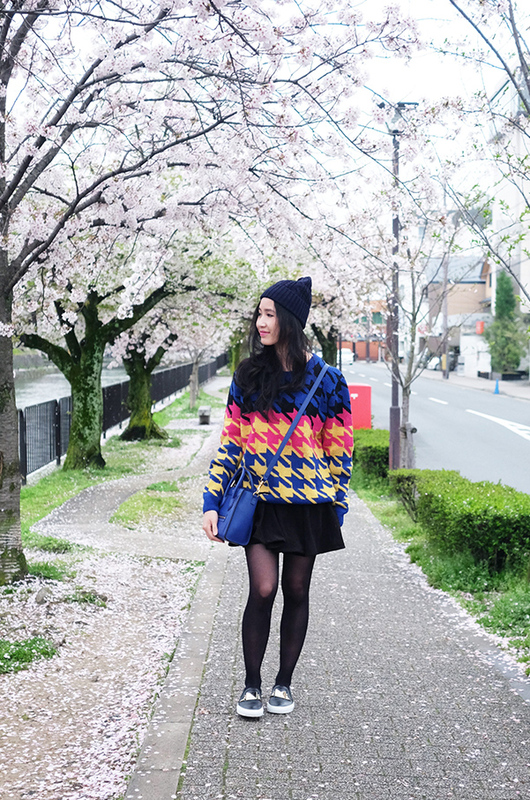 I was wearing houndstooth sweater from The Editor's Market, Givenchy shoes, Céline nano bag, and skirts and beanie that I bought in Japan. 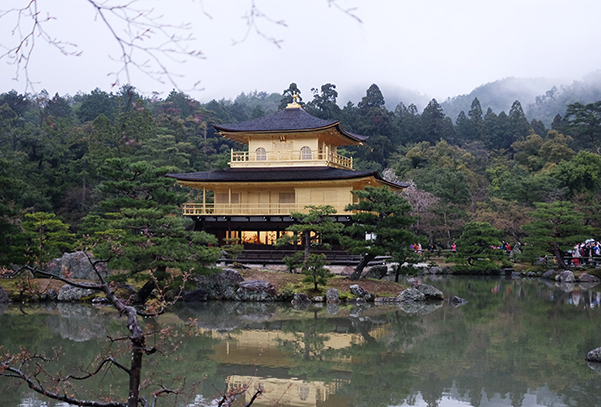 I went to Kinkaku Temple while I was in Kyoto. 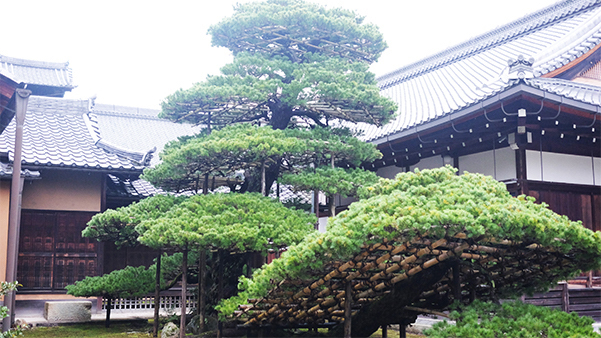 The other name of Kinkaku Temple is Temple of The Golden Pavillion and it is a three-story building on the grounds of Rakuon-ji temple complex. The top two stories of the pavillion are covered with pure gold leaf. Lastly, here is a picture of me in front of a Shinkansen train that I was about to take to Tokyo.